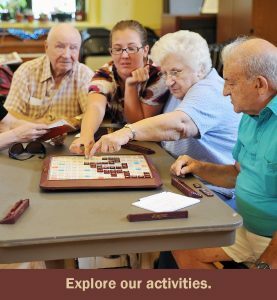 An assisted living residence is defined as “a special combination of housing, personalized supportive services, and health care designed to meet the needs – both scheduled and unscheduled – of those who need help with activities of daily living” by the Assisted Living Federation of America (ALFA) . It may also be referred to as board and care, residential care, or adult congregate care. AmeriCare Lodges is here to provide housing, personal care services, 24-hour staffing, social activities, and some health related services for seniors in Remer Minnesota. 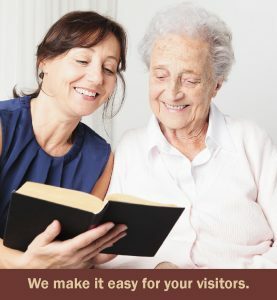 AmeriCare Lodges connects resident seniors with casework programs and power of attorney as needed. Staff members can attend these sessions if needed. We oversee medication management, making sure that the right pills are taken at the proper time while watching for possible drug interactions. Assistance setting up and getting to appointments is also available at our Remer Minnesota Assisted Living location. AmeriCare Lodges knows that there is no “typical” assisted living resident, so we don’t require everyone to fit into a mold. Our facility reflects the interests of our seniors and our activities are planned with their interests in mind. Set on 7.3 acres of woodlands with walking trails, ponds, and wildlife on the property, our residents can enjoy the Minnesota outdoors and seasons. Enjoy relaxing by the huge rock fireplace. Play bingo or do crafts. Savor homecooked meals without having to do the dishes. Area pastors come into speak and visit on a regular basis. 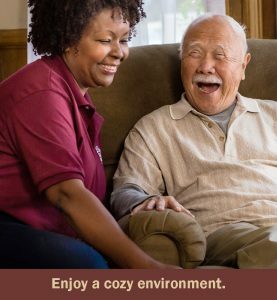 AmeriCare Lodges celebrates seniors’ quality of life by providing individualized, tailored care for each of our residents and by encouraging independence and choice whenever possible. When residents come to live with us, they can expect a family atmosphere where they are valued as an individual.